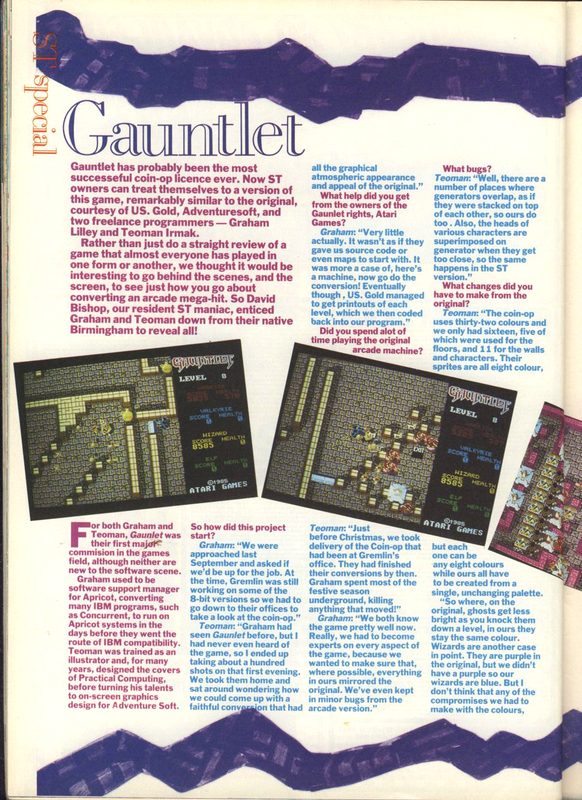 Forget it on a stock 8Mhz Atari ST .. play Gauntlet 2 instead. It's 10x better. BUT if you have a 16Mhz ST (or better) than you'll be fine. 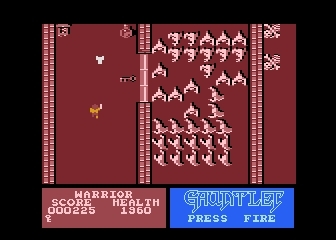 Gauntlet 1 plays great on my Mega STe (16mhz). 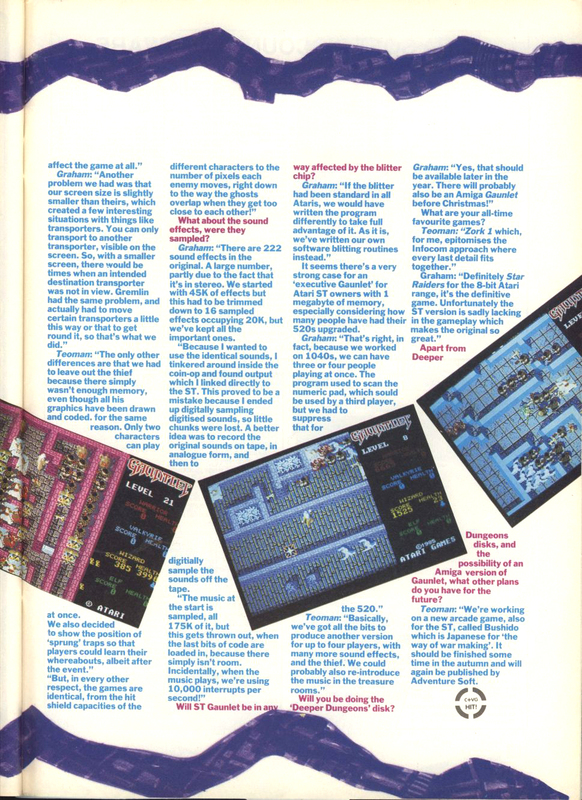 US Gold (United Kingdom), [no publisher] (version [Blitter]) (). 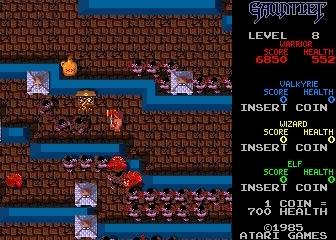 Based on Atari Games 1985 coin-op.